Temir Sariyev was just shy of one year in office. Kyrgyz Prime Minister Temir Sariyev resigned Monday after mounting questions from Parliament about his role in the awarding of a tender for a $100 million road project to a Chinese company. 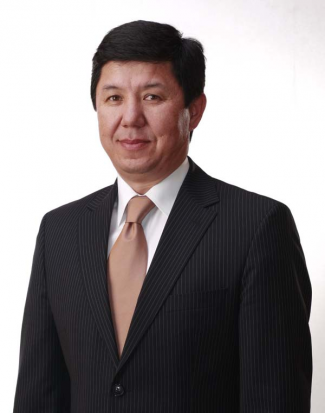 Sariyev took up the prime minister’s seat in May 2015, after the former premier, Djoomart Otorbayev, resigned in conjunction with almost-routine squabbling over the Kumtor gold mine. Last month, 24.kg reported that a parliamentary commission that had been formed in February found that the Chinese company, Longhai, that had won a tender to construct a 104-kilometer part of the ring road around Issyk-Kul did not have the proper licences to construct the project. Kanat Isayev, the leader of the Kyrgyzstan Party faction, asked Minister of Transport Argynbek Malabayev in a hearing why the Chinese company won the tender. According to the minister, both a Kyrgyz company and a Turkish company had underbid the Chinese company. On April 7, parliament called for both Malabayev and Sariyev to resign. As Akipress reported, Malabayev accused his deputy, Ulan Uezbayev, of helping Longhai win the tender at the behest of Sariyev’s associates. He also accused Sariyev of having personal interests in the awarding of the tender to the Chinese company. Sariyev petitioned President Almazbek Atambayev to push for Malabayev’s resignation, but Atambayev declined, ordering the state anti-corruption agency to investigate the accusations. Isaev said Sariyev’s resignation was the “right decision,” but criticized Sariyev’s Facebook defense. In response to a 24.kg question, he said it set a bad precedent for Parliament. Isaev said Wednesday that the committee was scheduled to submit its results, “So, Temir Sariev could answer all the questions, instead of posting a response of the parliamentary commission in the social networks.” According to TASS, the Parliament was to consider a motion of no confidence on Wednesday. It seems Sariyev preferred to walk out than be thrown out of office. Kyrgyzstan has had fairly rapid turnover in prime minsters, with almost as many people holding the office as years of independence. With a late summer influx of visitors expected, one of Kyrgyzstan's most important roads is just barely finished.